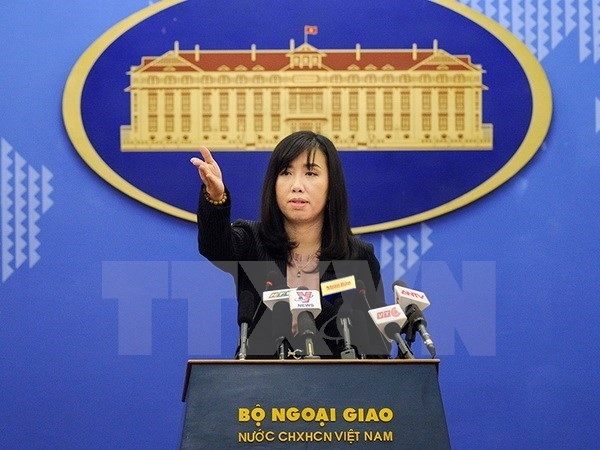 Vietnam is deeply concerned about China’s announcement of holding a military drill in the waters off the mouth of the Gulf of Tonkin, the Foreign Ministry’s spokesperson, Le Thi Thu Hang, said on August 31. In reply to reporters’ queries about the move of China, Hang asserted Vietnam’s stance that all activities of foreign countries in the waters belonging to Vietnam’s sovereign right and jurisdiction should comply with Vietnam’s legal regulations and international law, especially the 1982 United Nations Convention on the Law of the Sea. Vietnam asks China to end and to not repeat actions that complicate the situation in the East Sea, she said. On August 31, a representative from the Vietnamese Foreign Ministry met a counterpart from the Embassy of China in Hanoi to make clear Vietnam’s stance on the issue, Hang said.